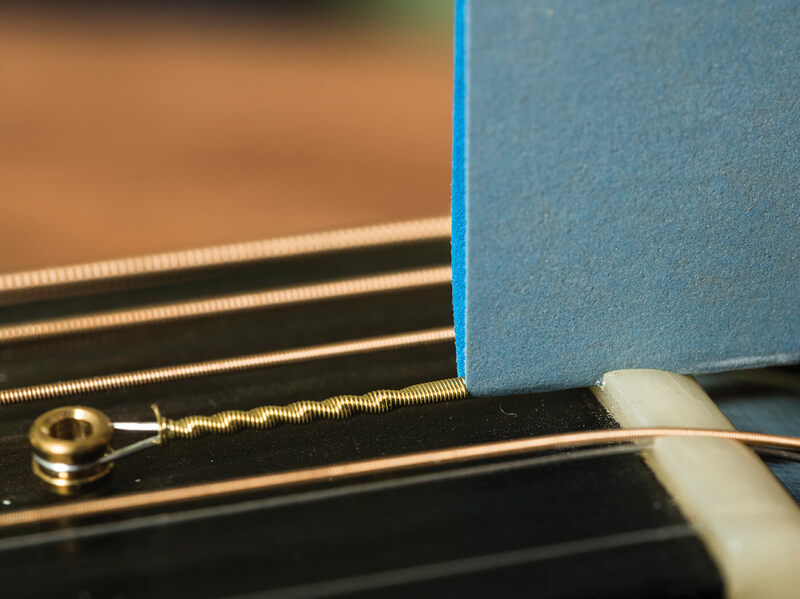 There’s no denying that tuners wear out, but countless vintage guitars have been fitted with Schallers and Grovers that they never really needed. Machineheads are often blamed for unstable tuning when the real cause is friction in the nut slots. 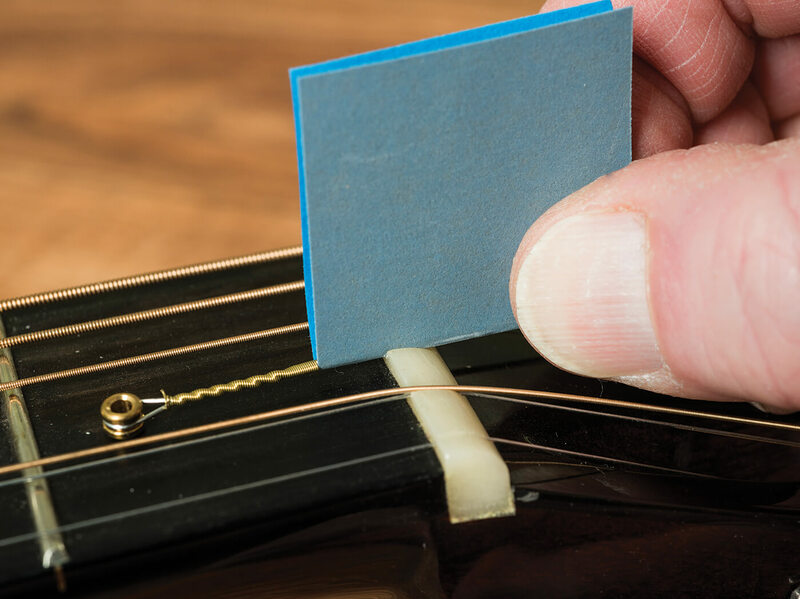 Have you ever played a guitar that makes pinging and clicking noises when you tune up? Or maybe you can feel the string slipping between grooves in the nut slot when you bend it. Listen closely when it happens and most likely, the noises will be emanating from the nut. Luthiers use special nut files to smooth and finesse nut slots, and most hobbyists will consider a set of nut files too expensive. 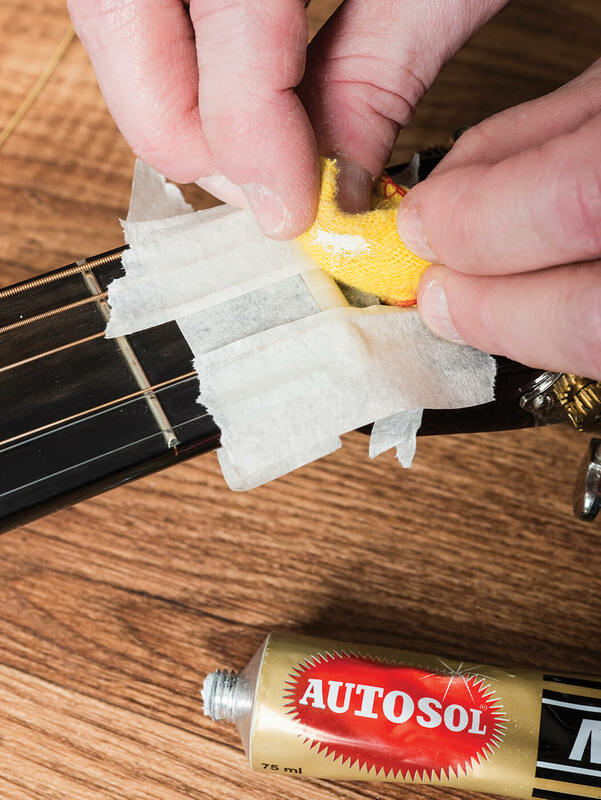 Instead, take a small piece of 800 or 1,000 grit Wet And Dry abrasive paper, wrap it around the string and push it into the offending slot. The idea is to smooth the surfaces of the slot and not to deepen it. Work the paper back and forth a few times, then pop the string back in to test your progress. Don’t rush this – just be patient and keep checking. If you manage to improve the slot, try following up with some still finer micromesh. You can even mask off the neck on both sides of the nut and finish off the slot using chrome polish. To further reduce friction, try introducing some lubricant into the slot. Some people use graphite from a soft pencil, while others prefer to use Vaseline. 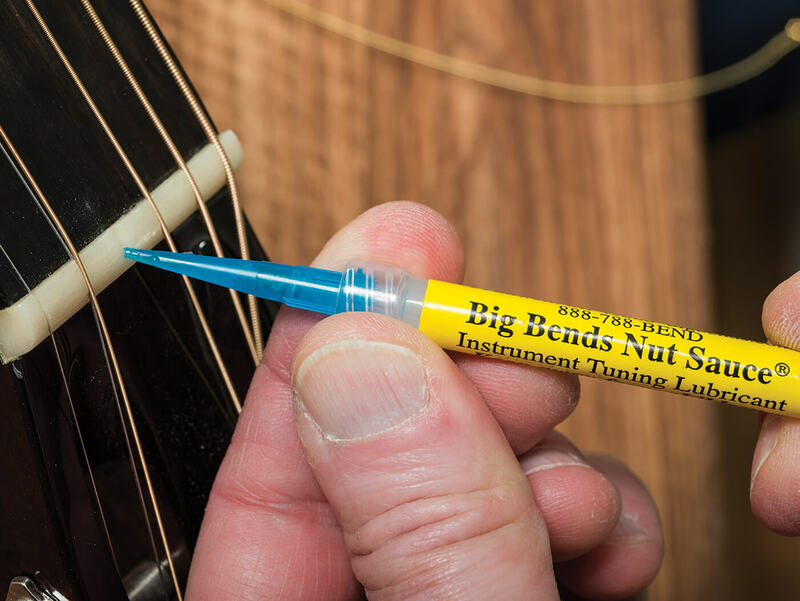 You can also buy specialist guitar lubricants such as Big Bends Nut Sauce or Guitar Grease.